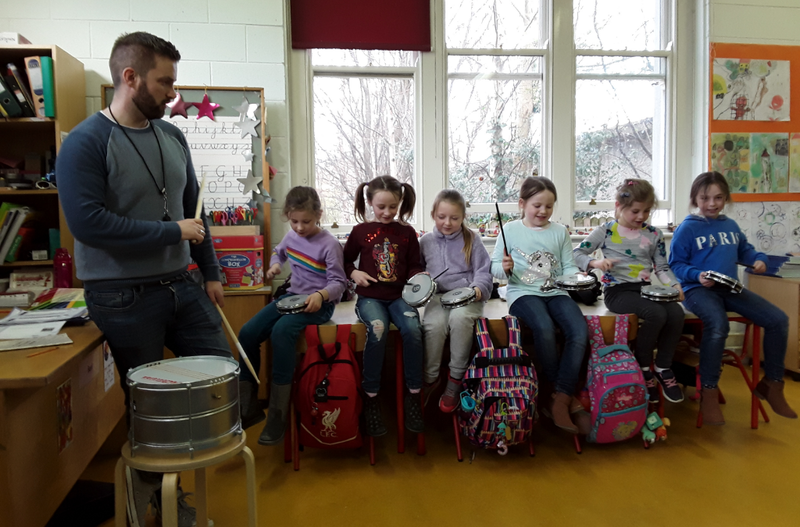 2nd Class were the lucky kids to have a wonderful drumming workshop with Brian. Brian has borrowed a set of drums from Blackrock Education Centre. We don’t just have talented children, members of our staff have many talents too, and Brian is an accomplished drummer. 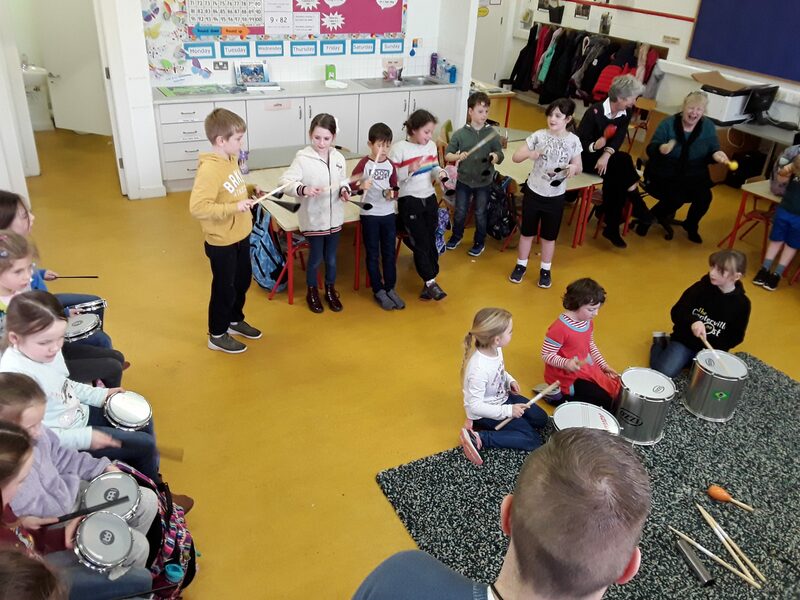 All children from 2nd to 6th class will benefit from his talent and expertise as he holds drumming workshops with each class.